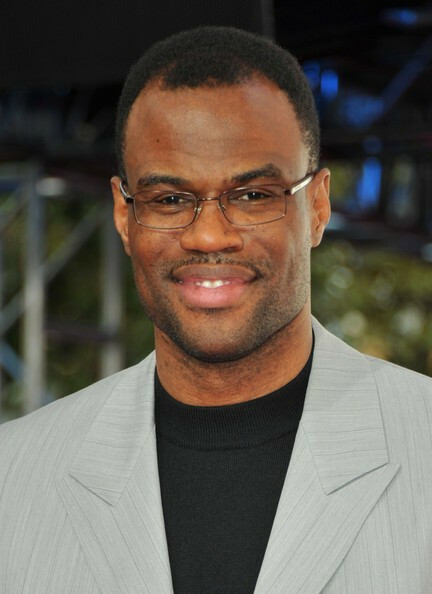 David Robinson was born August 6, 1965 and is a retiredAmerican NBA basketball player, who played center for the San Antonio Spurs forhis entire NBA career. Based on his prior service as an officer in the UnitedStates Navy, Robinson earned the nickname The Admiral, and histeammate, power forward Tim Duncan, were nicknamed The Twin Towers.Robinson was inducted into the Basketball Hall of Fame along with MichaelJordan, John Stockton, Jerry Sloan, and C. Vivian Stringer on September 11,2009. He is widely considered to be one of the greatest centers in NBA history. Although there was speculation that Robinson might choose not to sign with theSpurs and to become a free agent once his Navy commitment ended, Robinsondecided in the end to come to San Antonio. Robinson joined the Spurs for the198990 season, and led the Spurs to the greatest single season turnaround inNBA history at the time (a record the Spurs themselves broke in 1997-98, afterdrafting Tim Duncan, which was then broken by the Boston Celtics in the 200708NBA season). The Spurs went from 2161 in the 198889 season to 5626 in198990, for a remarkable 35 game improvement. They advanced to the secondround of the Western Conference playoffs where they lost in seven games to theeventual conference champion Portland Trail Blazers. Following the 198990season, he was unanimously named the NBA rookie of the year, and subsequentlySEGA produced a game featuring him entitled David Robinson's Supreme Court. The Spurs made the playoffs seven more seasons in a row, butnever advanced further than the Western Conference finals. Robinson also madethe 1992 US Olympic Dream Team that won the gold medal in Barcelona. During the199394 season, he became locked in a duel for the NBA scoring title withShaquille O'Neal, scoring 71 points (breaking George Gervin's single-gamefranchise record of 63 on the final day of the 1977-78 NBA season) against theLos Angeles Clippers to win it. Robinson went on to win the MVP trophy in 1995, and in 1996he was named one of the 50 Greatest Players in NBA History. Still, from 1991 to1996, Robinson was thwarted in his quest to claim the one prize that had eludedhim: an NBA title. During that span the Spurs were eliminated from the playoffsby the Warriors, Suns (twice), Jazz (twice), and Rockets. The loss against theRockets was particularly painful for Robinson because it occurred in theWestern Conference Finals with Robinson playing head-to-head against his chiefrival, Hakeem Olajuwon. By his own admission, Robinson was outplayed byOlajuwon in the series, their only meetings in post-season play. Early in the 1997 season, Robinson's dreams of becoming achampion seemed to vanish when he was seriously injured. Robinson hurt his backin the preseason. He did return to play, but six games later, suffered a brokenfoot in a home game against the Miami Heat, and ended up missing the rest ofthe regular season. As a result of the injury to Robinson and other keyplayers, the Spurs finished the season with a dismal 2062 record. However, hisinjury proved to be a blessing in disguise: due to their dismal record in 1997,the Spurs enjoyed the first pick in the next year's NBA draft, and with it theyselected Tim Duncan out of Wake Forest University, who was, after a few years,the final key to Robinson's quest for an NBA title. NBA celebrities such as a David Robinson have taken the game to new levels. The booking agents at AthletePromotions can assist with David Robinson speaking engagements or appearances from the NBAs elite. We have years of experience in booking legends on the court for keynote speeches and autograph signings. Hiring a basketball speaker like David Robinson is not a hard process. Our agents can provide availability, fees and all costs associated in bringing out a successful football star to your next corporate event. We can find David Robinsons agent to make your event a success.A David Robinson appearance will add much excitement to your upcoming event.Most likely, basketball fans and corporations can find David Robinson's official website, charity involvement, Twitter account, representation, publicist and management info at www.David Robinson.com.